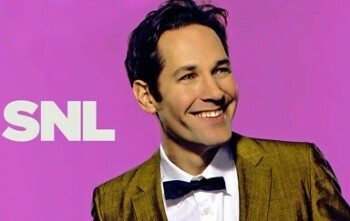 We are one day away from Paul Rudd hosting the latest episode of Saturday Night Live. We can’t forget to mention that One Direction will be the musical guest for this Saturday’s episode and we’re sure fans are already camping out in the cold for a chance to get a ticket inside. The boys of One Direction showed up to stand alongside Paul Rudd for the latest batch of promos from NBC. Editor of Pop City Life. Professional Worrier. Harry Potter enthusiast. Lover of all things Disney, Dinosaur, and Jeff Goldblum.